Hybrid cars, as the name suggests are a new generation of cars that run on petrol as well as electrical energy. To put it simply, they have a petrol engine as well as an electric motor. By using sophisticated computer technology, they use both these resources to get the maximum fuel economy. In fact, most hybrid cars can be configured by the user to suit his specifications. So they can run only on petrol or combining petrol and electric energy or operate on electricity alone depending on what the user wants. When they run on electricity alone, these hybrids can be called ZEVs or zero-emission vehicles. Though hybrid cars are more expensive than the current petrol driven cars, they are cheaper in the long run thanks to the greater fuel economy. The emissions are less and so these cars are environment friendly too. 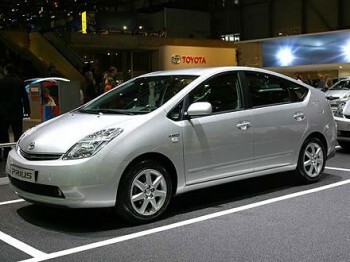 The main secret behind the fuel efficiency of hybrid cars is the new generation batteries that are fitted in these cars. These batteries have the capacity to charge themselves as you use the car and so there is no need to worry about the car’s battery ever getting depleted. The fact is these batteries will improve as the run of the car increases and the batteries get charged more and more. It is likely that these batteries will become popular and as the demand for hybrid cars rises, a day may come when the current petrol driven cars will get completely phased out. Lead-acid batteries were the first kind to be used in cars. They were invented in 1859 by Gaston Planté, a French physicist. They can supply a powerful surge of current and are ideal to power automotive starter motors. These are the batteries being used in cars today but they are not being considered for the new hybrid cars because they are heavy, non fuel efficient and let out toxic emissions. However, they are good for recycling and ninety seven percent of battery lead in the US has been recycled from 1997 to 2001. The nickel-metal hydride (or NiMH)is far less toxic than lead acid batteries and many hybrid cars such as Toyota Prius, Honda Civic Hybrid and Peugeot 3008 Hybrid 4 are fitted with these batteries. They are also popular in consumer electronics being easy to charge. Lithium-ion (Li-ion) batteries are seen as the batteries for the latest generation of hybrid cars. They are already very popularly used in portable electronic devices and have the least amount of toxicity. The first commercial lithium ion battery was released by Sony in 1991. They have been very well received because they do not lose their maximum charge in spite of repeated charging. Most of the automotive companies are planning on using this battery for their new hybrid cars. Hopefully they will succeed and we will soon have cars that will not pollute the air. There is no doubt that hybrid cars are going to sweep the world. Thanks to an ever growing environment consciousness as well as the depletion of petrol, there will be a demand for hybrid technology for economy as well as higher end vehicles.